Congratulations on your choice to enter the exceptional education field. What an enormous responsibility you’ve taken upon yourself. My guess is that many of you have been impacted by disability in your life in some way, whether through a family member, friend, etc. 1) Remember that parents know their child best. Most of the time a parent is your best ally. Keep in mind that you’re a team and both have the child’s best interests at heart. Develop a good working relationship with parents when possible and life is easier for everyone. 2) Believe in these children. Often times when your expectations of them are high they’ll rise to the occasion. For 15 years LifeLine has advocated for systems change on behalf of thousands of Hamilton County students with special needs. With the formation of the Chattanooga Inclusive Ed Working Group a couple of years ago, we joined many others in documenting the needs of the county and offering solutions to meet those needs. 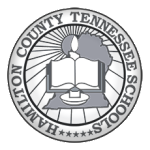 On Thursday evening, July 19th, 2018, Dr. Cale Horne with Chattanooga Inclusive Ed and Mr. Garfield Adams presented the Group’s 3 year plan for systemic change to the Hamilton County School Board. A copy of the final draft of the 3 year plan can be found here: HCDE – Three-Year Plan – Final draft for distribution Our sincere gratitude to all of the individuals, families, and community partners that brought this project to this point. The board received the presentation and we look forward to continuing the work we have begun. About four years ago, 15 national level organizations serving families affected by learning disability and related challenges collaborated in an effort to pool their collective knowledge in one website. They recognized that the 1 in 5 who are affected needed a central location to find resources. www.Understood.org was born. As the resource achieved national recognition, families began requesting local groups and resources from Understood. They also wanted opportunities to connect with other families. Understood responded by creating an on-the-ground local resource/outreach program of parent mentors. They were called Parent Fellows. Speech pathologists help patients develop, or recover, reliable communication skills so patients can fulfill their educational, vocational, and social roles. The Pregnancy Center: Along with providing free pregnancy testing, birth options, and informational & community referrals, they have added the “Earn While You Learn” Program. Once classes are completed, the parents are given “Baby Bucks” to purchase new baby items such as car seats, cribs, diapers, etc., from their Baby Store. Eligible ages – birth to 2 years. As parents, we have our work cut out for us. It’s hard to get kids to eat healthy foods like fruits and vegetables when their taste buds are hardwired to prefer donuts, french fries, and pizza. Juice Plus+ is dedicated to improving the state of children’s health and nutrition around the world. It is a whole food-based nutritional product that provides nutrition from 17 different fruits, vegetables, and grains–like apples, broccoli, kale, parsley, and beets–in a convenient and inexpensive capsule form. Juice Plus+ helps you bridge the gap between what your family should eat and what you do eat every day. Juice plus+ is NOT a vitamin. It is fruits and vegetables compressed into capsule or gummy forms. In order to bypass the taste and/or texture of fruits and vegetables, families with special sensory needs have also had much success with these products. Reduction of inflammation, building a healthy immune system, protecting structural integrity of DNA, and cardiovascular wellness are all additional positive side effects of this product. “Autism and autism spectrum disorder (ASD) are general terms for a group of complex neurodevelopmental disorders. The new diagnostic classification system (DSM-5, May 2013) combines the previous subcategories of autistic disorder, Asperger’s disorder, childhood disintegrative disorder, and pervasive developmental disorder–not other-wise specified (PDD-NOS) into the one category of ASD. The characteristics of ASD can be present in different combinations and at different levels of severity. Often specific behaviors vary widely from person to person. ASD occurs in as many as 1 in 59 children, is about 4-5 times more common in boys than in girls, and occurs in all racial, ethnic, and social groups.” (Autism Spectrum Disorder: Tips and Resources for Families, TRIAD, 2018). Over the years, GSFC has grown to be the administrator of more than 20 state- and lottery-funded scholarships, grants and service-cancelable loan programs that ensure Georgians have an opportunity to access education beyond high school. In addition, GSFC provides free financial aid consultation to K-12, postsecondary institutions and community organizations across the state to help students and their families prepare to pay for college.